Lot of small business sees Accounting services as necessary evil, something which has been imposed on them by Government and they have to pay for it. Unfortunately nothing can be farther from truth and small businesses are the ones who suffers most if they do not keep their accounting properly. Coming to second part of accounting service which scares small business is the cost attached with it. This fear is also uncalled for as online bookkeeping services comes starts with Rs 1,200 per month (a small price for all the benefits it brings). Thirdly account services helps a business to continue complying with all government regulations. 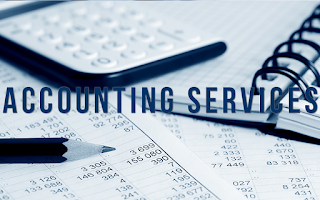 Last but by no mean the least, accounting services helps you to plan for future. If small business gets a month on month figure on growth and have all the compliances in place, the chances of raising funds goes up substantially. The other facet of having online bookkeeping for small business is that all the cost are accounted for at all times. If small business is having revenue less than Rs 5 Lacs per month (or less than 300 transactions per month), there are various online bookkeeping tools which are really cost effective. On the other hand if the business has revenue of over 5 lacs but less than 1 Crore, they business should hire a professional accounting service provider. All the entrepreneurs of small business or start-ups, please do remember that even Dhiru Bhai had a small business once upon a time!!! What wiki cant tell you about the company ? Is your PAN Card Activated?